The Faculty of Social Science and Humanities is home to graduate programs in both Criminology and Social Justice and Forensic Psychology. As students in our master's and doctoral programs, you will engage in innovative research and coursework alongside our expert faculty. 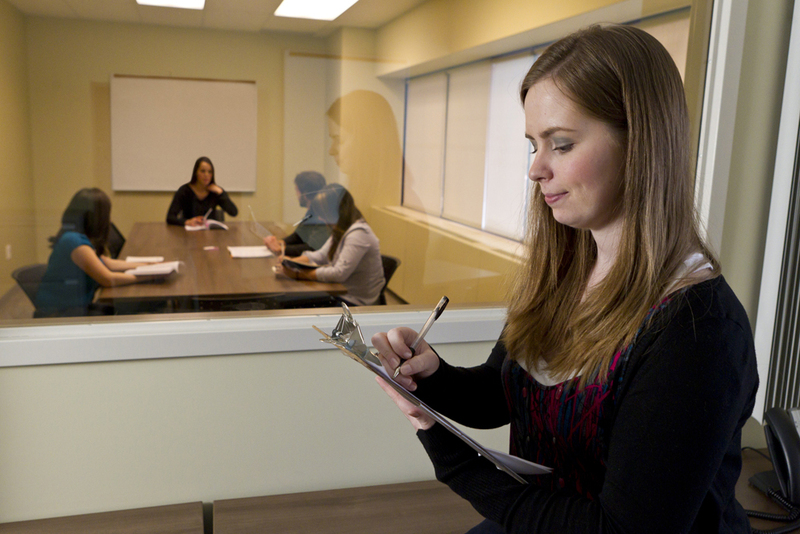 Our graduate programs are housed in our university's downtown Oshawa location, which gives students access to cutting-edge classroom experiences and research facilities. You will also be nearby police departments, mental-health facilities, hospitals, addiction centres and a courthouse, giving you numerous opportunities to gain first-hand knowledge in your various fields of study. You will also be well-positioned to develop relationships with these institutions and organizations and gain practical skills that will help in your job search after graduation. "I love the community at the University of Ontario Institute of Technology. I feel as though my ideas are being heard; my classmates and I are able to have well-informed, meaningful conversations about really tough topics in a safe environment and my professors and my supervisor always express interest in my opinions, thoughts and suggestions. They help me further develop my ideas and also inform me of exciting upcoming research opportunities. I’ve also loved being a teaching assistant and having the experience of helping other students and running tutorials." "The Criminology and Social Justice PhD program has provided a supportive and close-knit learning environment where an intimate learning experience fosters collaboration and open dialogue. Professors are accessible and student ideas are respected and valued."